around the world. Join in the flow of the times and add your appreciation for all you've experienced and received this past year - and your Joyful expectations for the coming year. 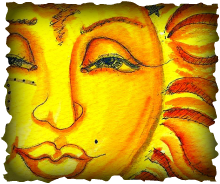 Fall or Autumn Equinox Fall is the 4th and final major Sun Cycle of the year and it means a time of changing Focus and direction in your life. The chaotic times of summer and rapid growth means lots of changes - some loss and some gain. What's next? Fall is the time of harvesting, and also the time to take stock of what you harvest This is the ending of the annual Sun cycle and for many, November 1st marks the beginning of a New Year. For others, Winter Solstice marks new year's beginnings, with New Year on January 1st designated as the day of change to the new. Here are the traditions and history that lie within your genetic coding. 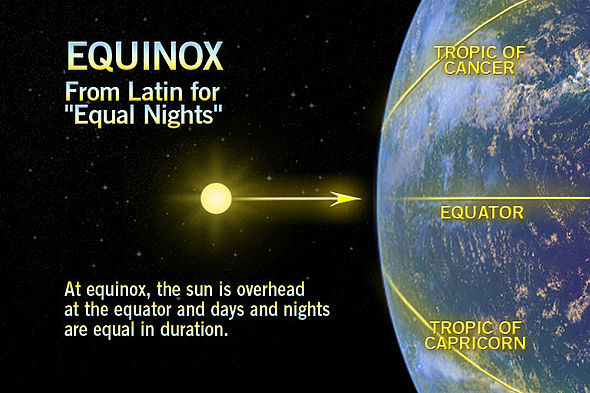 Fall Equinox is a traditional time of gratitude and thanksgiving around the world. Join in the flow of the times and add your appreciation for all you've experienced and received this past year - and your Joyful expectations for the coming year. You are setting your own future in motion now with a potent surge of energy during the transition point. From these days forward, the night's lengthen and the days shorten. All of life turns within. You are moving from your more "Yang" masculine, action oriented self, into the realms of the inner-world, the "Yin" and your feminine, intuitive, receptive, creative self. This inward journey culminates on Winter Solstice, and ends at Spring Equinox as the energy again turns, this time from within, to move out again into the world. 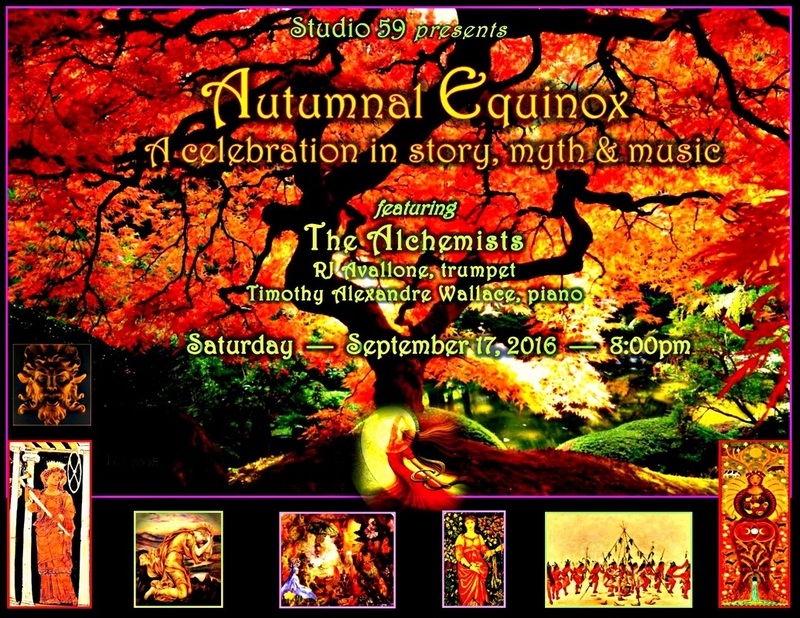 Fall Equinox in story and myth Stories and myth are the histories of a culture - some from religious texts and some from verbal traditions. The truths, wisdom and teachings of the time are embedded within parables, songs and dances -- and within your genetic code. Fall is a time of huge changes, and changes are always a time of great joy and great sorrow. For everything new replaces something old. All of these wisdom teachings tell of the same inward journey, and all are around the Fall Equinox. They are from different cultures and times and yet speak of the same cycle. In Greek mythology, Persephone (Kore or Cora) was the embodiment of Mother Earth's fertility - and at the same time - she was the Queen of the Underworld. The story: Persephone, the daughter of Earth Mother Demeter, is abducted and becomes the wife of Hades who governs the underworld. In Demeter's anguished seeking her daughter, she withdrew from the earth (hence winter and the withering of the crops) until Zeus ordered Hades to return Persephone. Hades tricked her into eating pomegranate seeds, which compels her to return to the underworld for a season each year. Her myth explains the natural processes, with the descent and return of the goddess bringing about the change of seasons. But there's more to the story. Persephone is a Greek life-death-rebirth deity or "resurrection" deity. She is a God who is born, suffers a death-like experience, passes a time in the underworld, and is then reborn. (Male examples are Osiris, Baldr, Dionysus, and Odin.) Persephone is the central figure of the Eleusinian Mysteries, whose cult dates to 1700 BC as the "unnamed goddess" worshiped in Crete. The name of "Persephone" is never spoken for she was also the feared Queen of the Dead. She was simply referred to as "Kore" or "the Maiden." When Demeter and her daughter were united in the Spring the Earth flourished with vegetation and color, but for some months each year, when Persephone returned as Queen of the Underworld, the earth once again became barren. Those that stay on the surface of life at Wintertime, find their future barren too. 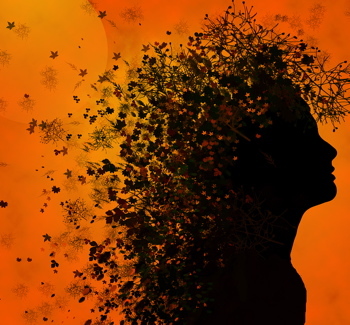 The Celtic or Wiccan story of Mabon Mabon is a time of change, when we are between the worlds of life (Summer and Autumn) and death (Winter), of light and dark of the day and night --in perfect balance- for one day. The story: Mabon is named after the Welsh God, the "Great Son" or "Great hunter." He is the son of Modron the great Mother Earth, and is the Divine Youth, or Son of Light. Mabon vanishes when he is three days old. His whereabouts are a mystery. Mabon is finally set free at Yule (Winter Solstice) through following the wisdom of the ancient animals (Blackbird, Stag, Owl, Eagle, and Salmon). The teaching was seldom revealed until a person, through reflection on the animals, discovered the answer themselves. The Inner Mystery Mabon had returned to his Earth Mother's womb or the "Otherworld." In Winter, the earth nurtures the new seeds, or Mabon, and over time the seed gathers the strength to become the new harvest the following year. He has brought light into Mother Earth, and remains until he has enough wisdom and strength and is powerful enough to take over darkness once again. In the story, the "Otherworld" is a challenging place. Here Mabon learns the secrets of cultivation. Within the quiet of nature in the Winter months, a person is renewed and regenerated in the same way. It is a place of new life emerging from the darkness. 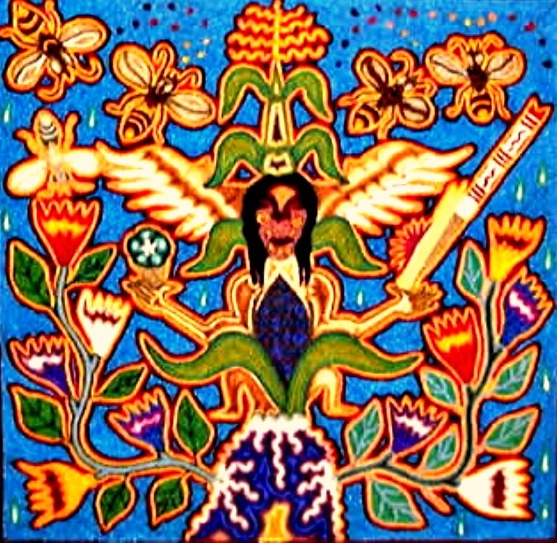 In the Spring, he is reborn, the source of Light and Joy to His Earth Mother. The Wise animals teach that Fall, the time of Mabon, is a time for quiet, tranquil resting periods. Without the fallow periods we could not assimilate our experiences and balance our outer consciousness and inner knowing. From our insights, we then weave all that we discover into our coming year. Just as fields need to lay dormant to support new growth -- so do we. The Goddesses associated with Mabon are Morgan, Modron, Persephone, and Epona. Some of the Gods are Thoth, Hermes and Thor. Many Southwestern tribes rely on corn as their primary food. There are many celebrations in honor of Mother Nature and the Goddess of the Corn, of planting and harvesting. One such tradition combines two stories. A young maiden, as her rite of passage, is honored and celebrated, as she changes from a child, into a woman and potential mother. Special foods, bathing, corn pollen and songs and ceremonies accompany the 2-3 day ritual. At the end, the young woman runs from one end of a long line of well wishers, to the other and then returns. As she runs they shower her with corn pollen - and she transforms, within the Mystery of Earth Mother's grace, from the girl-child, to the young woman, to the mother, to the elder woman and finally into a wise woman -- at the end of the line of family and friends. The tunnel of tribal members represent the going within time. Now she turns, having experienced her life's journey in a brief moment, and runs back again, changing through the life cycles, and returning to the young maiden. It is turning within to Earth Mother that changes are understood and woven into the patterns of life. From experience and introspection, we gather great strength and then have the personal power to "dance our dream awake." . . In Concert . . . 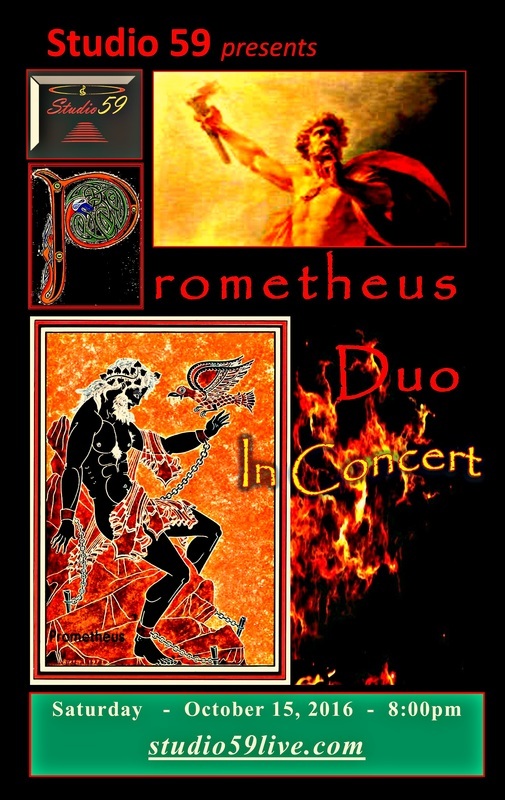 The Prometheus Duo is a classical music ensemble based between Hartford and New York City. Having met at the Hartt School as chamber music scholars in the Performance 20/20 honors program, the first performance Duo had in 2011, and since has performed over USA and Iceland with success. 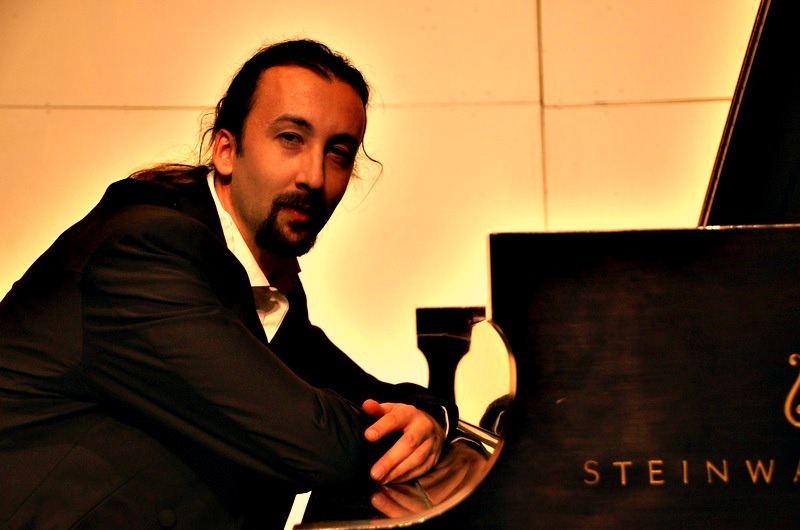 Marko Stuparevic (piano) and Joseph Abad’s (saxophone) latest musical adventure explores the soundscapes from various decades and locales, with several familiar names: from Cesar Franck, Edvard Grieg, Claude Debussy, George Gershwin, Astor Piazzolla, spanning to 21st century composers. 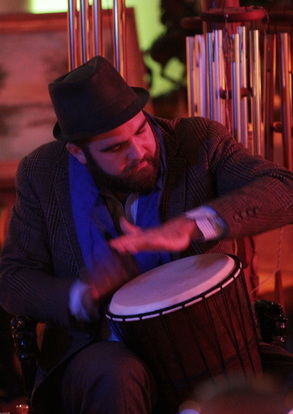 Joseph Abad My classical influences in harmony, musicianship, and rhythm stem from unorthodox sources–mainly Tower of Power; Earth, Wind, and Fire; and the West Coast Hyphy Movement–yet I enjoy finding relevance and inspiration from everything. 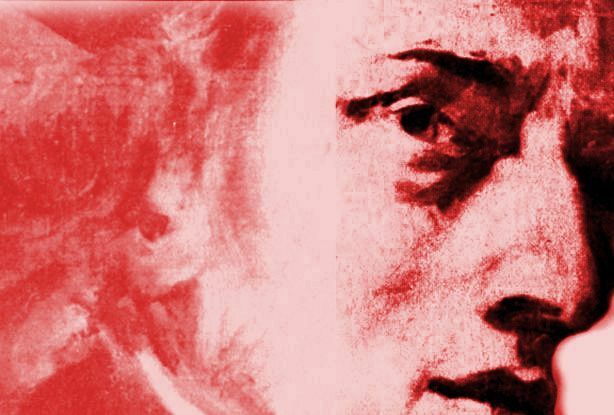 While my repertoire has spanned from Bach to Debussy to Berio during my studies at the University of California (Davis), Arizona State University, and at The Hartt School, I enjoy performing commissions from today’s composers, alongside works from the classical canon (transcriptions included!) that showcase the lyrical, the lighthearted, and the gritty. Hamden Symphony Orchestra, the Hudson Valley Chamber Winds, The Hartt School Wind Ensemble, The Hartt Symphony Orchestra, the University of California (Davis) Symphony Orchestra, the University of California (Davis) Wind Ensemble, and the James Logan High School Wind Symphony (CA). As a chamber musician, I’ve had the pleasure of being one half of the Prometheus Duo with Marko Stuparevic , the soprano saxophonist of the Asylum Quartet since 2012, the in house saxophonist of the Hartford Independent Chamber Orchestra , and the Elements Ensemble. I've been lucky enough to perform in 16 states (and counting), alongside performances and recitals in Japan, Italy, and Iceland. Celesti Sondato and 016. He performed on Women Music Festival, New Music Festival, LaMama Moves Festival in New York City with the principal “Martha Graham” dancer Miki Orihara, TelHai Festival in Israel and many other events. 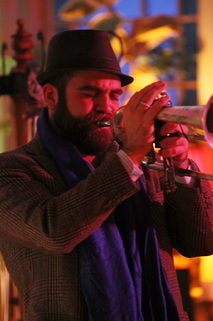 Mr Stuparevic is cofounder of Prometheus Duo with saxophonist Joseph Abad. 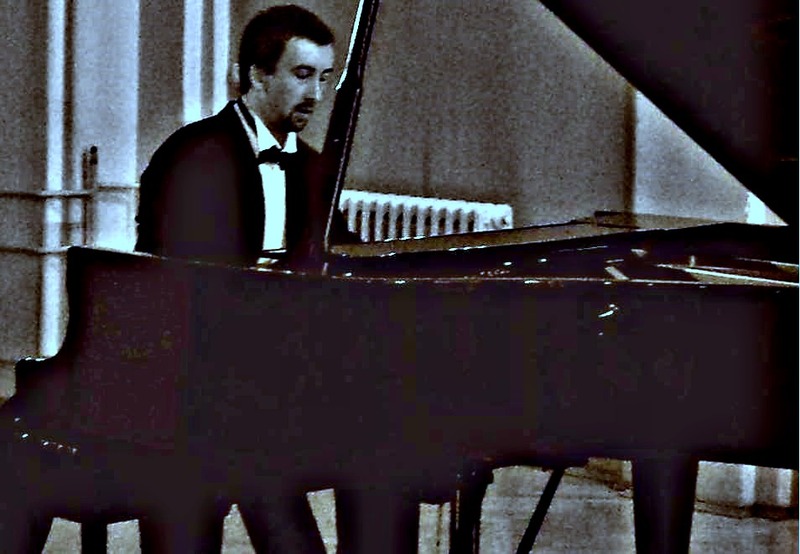 Mr. Stuparevic is currently pursuing his Doctoral degree (DMA) at The Hartt School of Music working with praised American pianist Dr Paul Rutman. Mr Stuparevic holds Master of Music degree from The Hartt School of Music and Bachelor Degree from University of Arts, Belgrade, Serbia. 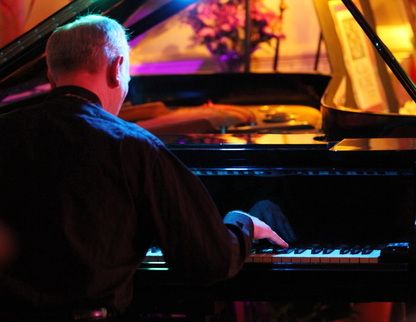 He was also learning from many world renowned musicians including Anne Koscielny, Philip Kawin, Patrick Zygmanowsky, Jokut Mihailovic, Garrick Ohlsson, Coline Stone, Arbo Valdma and many others. 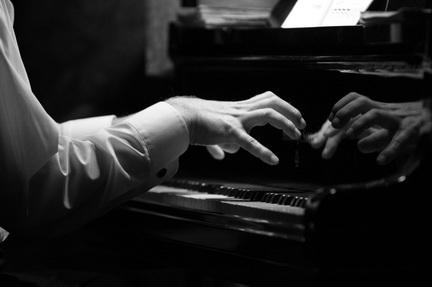 Beside the full tuition from the Hartt School of Music, Mr Stuparevic has was awarded the “Evelyn Bonar Storrs” scholarship from Musical Club of Hartford for the excellence in piano performance from 2011-15. 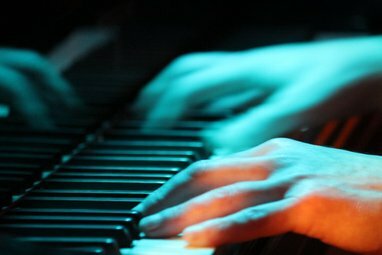 An evening of music, conversation & ideas, and the fascinating history of the 'Salon' and its role in the world of music. Why Bother Talking With One Another? Yet, this feast of 'facts' and 'data' has exacted its toll. While it has increased our mobility, personal autonomy and privacy, it has greatly diminished our sense of community and the means available to us for 'making sense' of our world with the help of similarly-interested individuals. More importantly, it has tarnished our ability to appreciate inspiring conversation for its own sake. Pressured by a scarcity of time, the need to continually update skills, and a life very often overpopulated by hundreds of 'convenience' and 'entertainment' products, we find ourselves evaluating human relations based on 'bottom-line' goals. Will this meeting with so-and-so be 'useful'? Will we arrive at a 'conclusion' if we talk things over...If not, then why bother? What are the 'opportunity costs' of conversing just for the sake of it? Ideas, however---and the heart to put them into practice---require more than rational calculation if they are to flourish. 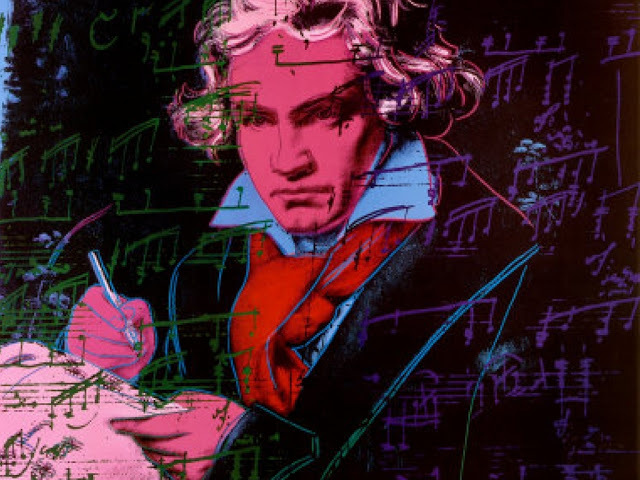 They need people willing to appreciate the interdependent connections between creative thinking, interpersonal sharing, and mutual action-support networks. Salons and discussions groups provide the means for the recreation and preservation of these precious forgotten social tools and privileges. They provide us with the opportunity of gathering with others and breaking the chains of isolation that keep us in our heads; they lead us out out into the heart of the human community. 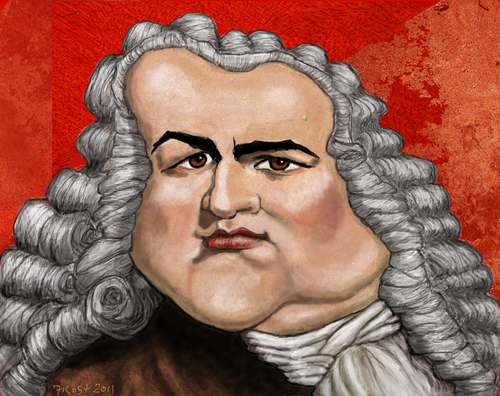 So, a conversation salon needs not be a place for ideological lobbying. Nor need it be a place where social action is planned and carried out with bureaucratic efficiency. It serves its purpose magnificently if it succeeds in inspiring people to use their minds and hearts at their maximum capacity and come to appreciate the personalities and contributions of others even if they differ from their own. True conversation occurs when we feel at ease expressing our ideas and sentiments, while remaining free to modify them based on what we learn from others sharing our space and experience. Winning the debate is not the purpose of good conversation. Winning back our ability to talk with one another (as opposed to talking 'at' one another) is the ultimate and most precious goal of a salon. It is in such environments that great ideas are born...and where people find the energy to have a positive influence on the world. The salon gathering not only satisfies our need for collective effervescence, but also our need to live our individual lives with the certainty that we are visible to others and supported by them. It does not take millions of people to change social reality. Salons of previous eras have shown that it takes only a handful of creative and concerned individuals to trigger large scale positive change. Many of the ideas of great thinkers and doers in previous eras were born in gatherings where others were willing to listen to them and provide sincere feedback. The contemporary salon offers similar opportunities. It facilitates our desire to heal the rifts that have been the unintended consequences of an overly-rationalized, bottom-line culture. Conversation salons are perhaps the new venues for a new cultural revolution: the revolution of rebuilding and revitalizing communities and their creative energies. If the numbers of recently-formed salons, local discussion groups, and internet virtual salons are any indication, we may be witnessing a seminal event in contemporary history: the revival of the ability to talk with others and relate with them for the simple pleasure of doing so. And also for the pleasure of contributing to human progress. 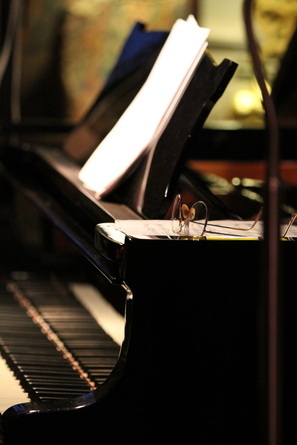 This weekend, on Friday nigh,t will mark the conclusion to the Fall Concert Season. 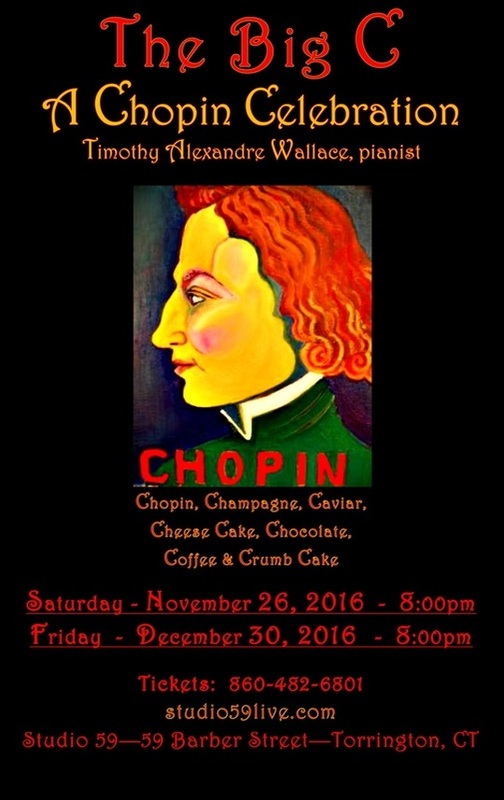 Come enjoy an evening of music by one of the great masters of the piano, Frederic Chopin, as performed by pianist/composer Timothy Alexandre Wallace. A great way to help bring in the new year! 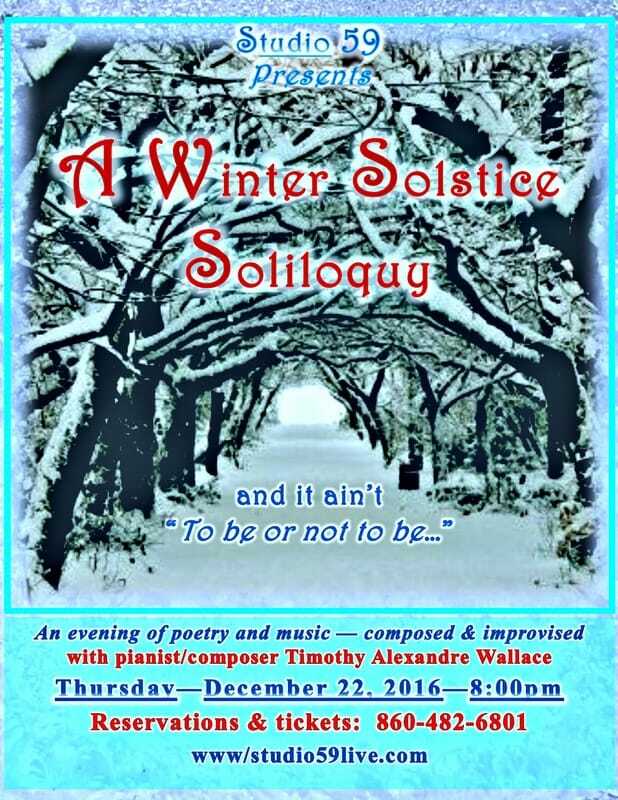 the Winter Solstice concert is being moved to Thursday. Dec. 22 at 7:30pm. 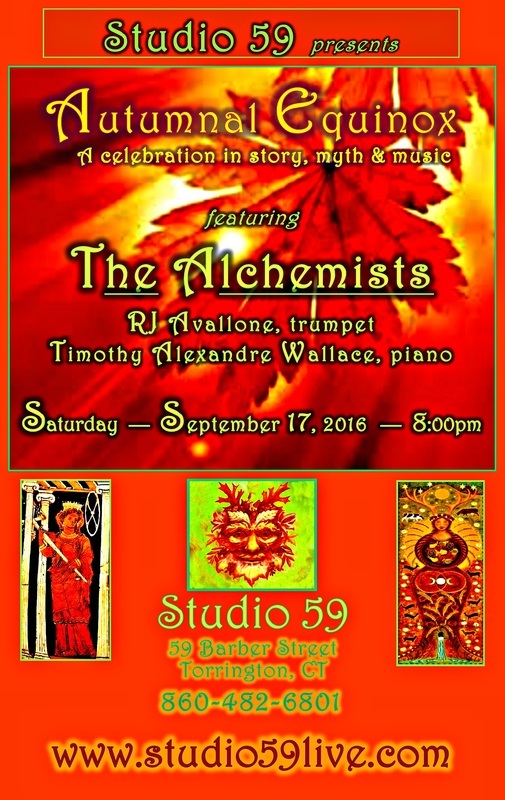 This concert will have a new theme called: A Winter Solstice Soliloquy. Call 860-482-6801 for more information. Summer and Winter. 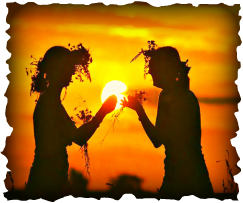 Summer began at the festival of Eostre, close to the Spring Equinox, and Winter began at the festival of Winternights, close to the Autumn Equinox. Between these two festivals was the festival of Midsummer (Lithasblot) at the Summer Solstice, and the festival of Jul (Yule), at the Winter Solstice. the god Ingvi Freyr rides over the earth on the back of his shining boar, bringing Light and Love back into the World. In later years, after the influence of Christianity, the god Baldur, then Jesus, was reborn at this festival. Jul signifies the beginning and end of all things; the darkest time (shortest hour of daylight) during the year and the brightest hope re-entering the world. During this festival, the Wild Hunt is at its greatest fervor, and the dead are said to range the Earth in its retinue. The god Wotan (Odin) is the leader of this Wild Ride; charging across the sky on his eight-legged horse, Sleipnir; a very awe-inspiring vision. In ancient times, Germanic and Norse children would leave their boots out by the hearth on Solstice Eve, filled with hay and sugar, for Sleipnir's journey. the kindly Santa Claus (Father Christmas).